Raymow is committed to providing quality work at reasonable rates to our clients, while creating and maintaining a safe work environment for our employees. Every employee is expected to comply with Raymow Construction’s high standard of Safety Ethics. Research and Development ensures that we will continue to modify, update and improve operating procedures to prevent and minimize job site hazards and incidents. Due to Raymow's high standard of safety, Raymow Construction has been the recipient of 3 William H. Feather Safety Awards. We honor and value these awards as our employee's safety is of utmost importance. At Raymow, It’s safety first. 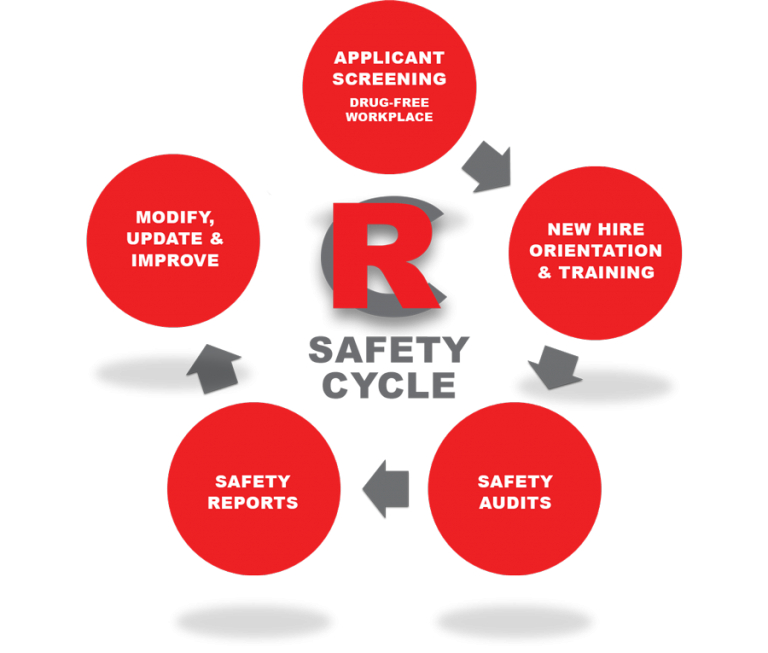 Raymow is a drug-free workplace and all employees are screened prior to employment. All employees are qualified, experienced, and able to handle their assigned work load. Our employees are our number one asset, and their safety is top priority. Every new hire is equipped with OSHA regulated personal protective equipment. A safe and healthy workforce creates a successful company, which is a benefit to all. Raymow promotes random safety audits routinely to ensure we are compliant with all OSHA safety objectives. We like to award our employees for meeting these expectations, and if they are not met, we implement a solution and correct the issue. Weekly site meetings, along with bi-weekly foreman safety meetings and random site safety inspections, we still know that something can happen on the job. Raymow's safety crew is there to assist any employee in need of help. Safety procedures are updated as needed, and Raymow will strive to always be proactive on all construction and OSHA safety regulations.